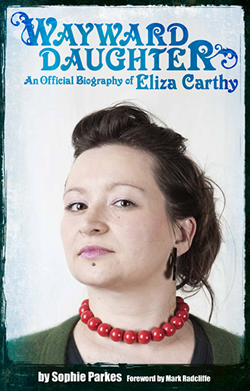 Sadly, Eliza has had to cancel her forthcoming Wayward Daughter tour due to poor health. Anyone who has read the book will know that Eliza suffers from throat problems, and her specialist has recommended that she reschedule her 'best of' tour for 2013. This means that the double album which was set to be released to coincide with the tour, also entitled Wayward Daughter, will be postponed. Soundcheck Books, therefore, has also decided to put back the Wayward Daughter e-book. Please keep checking back for further information.